From The Ground Up Therapeutic Horsemanship, Inc., a 501 c 3 non-profit corporation, has served the Central New York area since 2002. We offer a variety of Equine Assisted Activities and Therapies to persons of all abilities and life challenges. The intuitive and accepting nature of the horse, as well as its movement, motivates participants to achieve physical, emotional, social and educational goals. Sessions that instruct participants to safely care for, train and build a relationship with their horse from the ground using natural horsemanship methods. This relationship with the horse promotes trust, mutual respect, communication, self-confidence, assertiveness, and leadership skills. An adapted riding lesson program that addresses physical, cognitive, social and educational goals through the context of working with and riding horses. Extended sessions that combine the interventions of Groundwork, Natural Horsemanship training techniques & riding for those students aspiring to an in depth relationship with the horse. Students learn to train (or re-train) the horse “from the ground up,” culminating in training under saddle, for those who choose it. Riding is not required to participate in this program. Occupational therapy sessions conducted by a licensed Occupational Therapist using the horse as a modality in addition to occupational therapy interventions off the horse. EAP utilizes horses to address a variety of mental health and human development needs based on the Equine Assisted Growth and Learning Association (EAGALA) model. 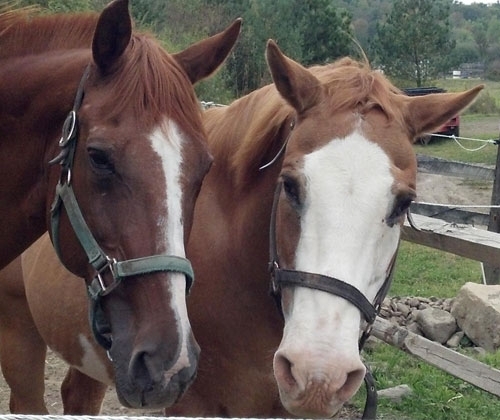 This is a collaborative approach involving a licensed Mental Health professional, an Equine Specialist (horse professional), and our equine “co-therapists.” Sessions are conducted on the ground (no riding), and involve activities with the horses which require the client or group to find their own solutions. Sessions are designed to address emotional and relationship issues, e.g. depression, anxiety, self-esteem, impulse control, trust, healthy boundaries and assertive communication. Similar to EAP, but with the focus on educational and skill-building goals. Sessions may also include an educator in addition to the Mental Health and Equine professionals. Skill development can include communication, assertiveness, creative problem-solving, leadership, responsibility, teamwork, confidence & attitude. Any of the above programs, provided for military service members, veterans and/or their families. FTGU has been the Special Olympics Equestrian provider for the New York Central Region since 2003. Participants may enroll for the 10-week training session that takes place in late summer and early Fall. Space is limited and enrollment is on a first-come first-served basis.